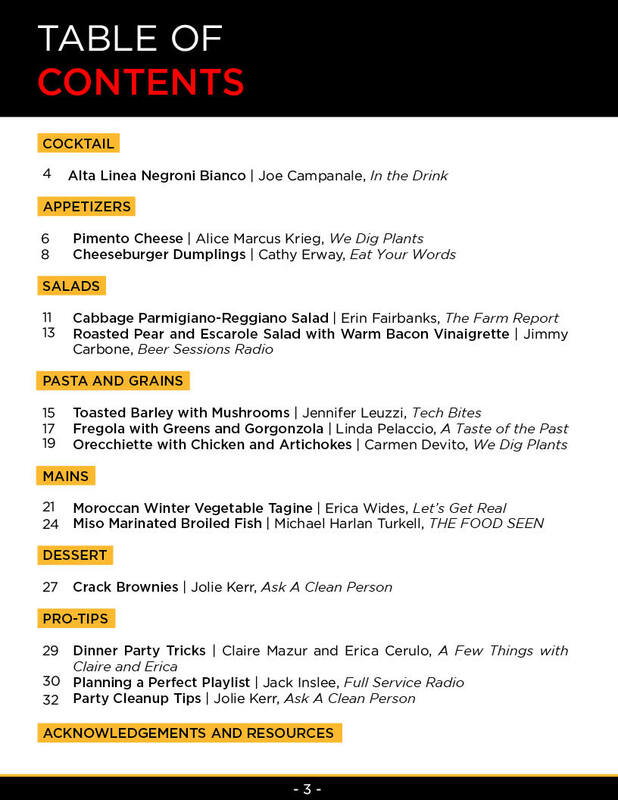 When you become a member of Heritage Radio Network at the $60 level, we’ll send you a copy of Podcast Potluck, Volume 1: Winter 2016, a special illustrated collection of HRN host-inspired recipes, entertaining tips, and more for your next dinner party! 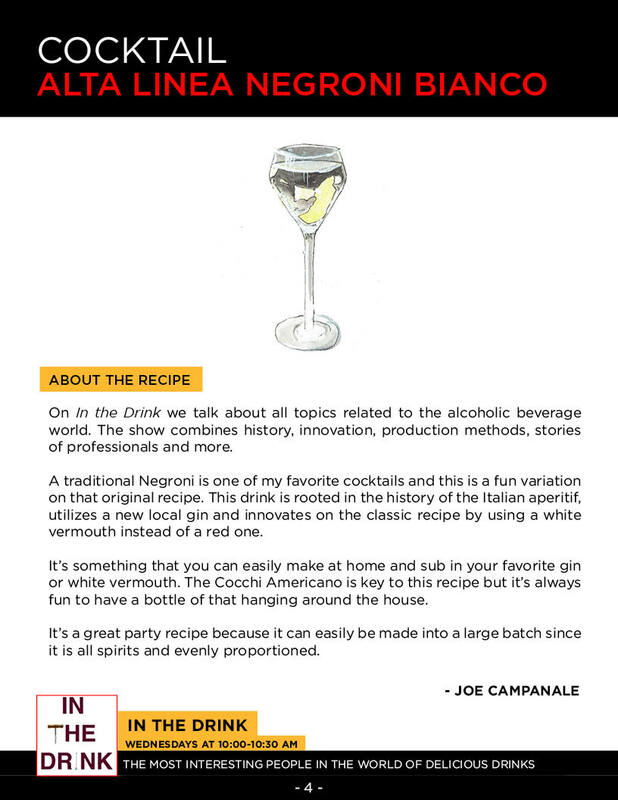 We’re delighted to bring you a sneak peek into our inaugural edition, in the form of a festive cocktail for winter entertaining! 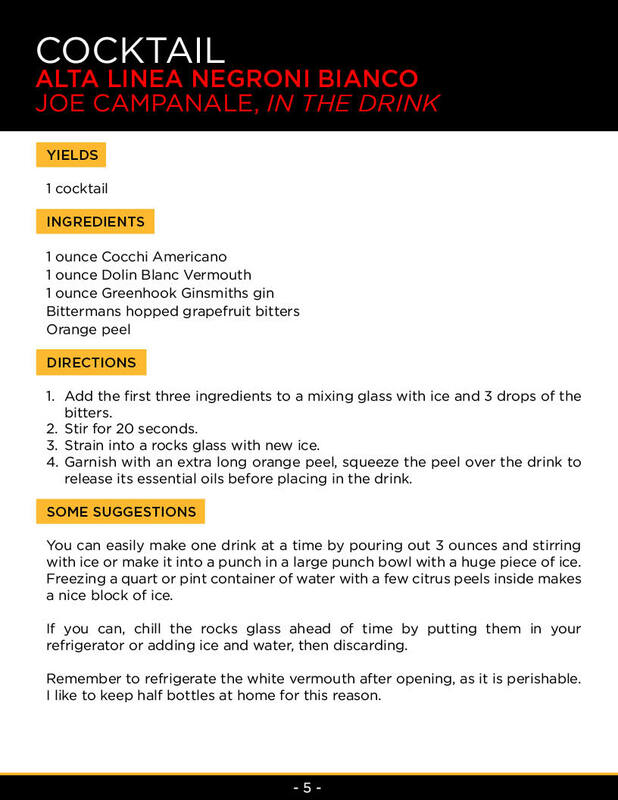 Joe Campanale, host of In The Drink, contributed this recipe for the Negroni Bianco from Alta Linea. Episode | Blake Hartwick's "Letter to an Unborn Chef"